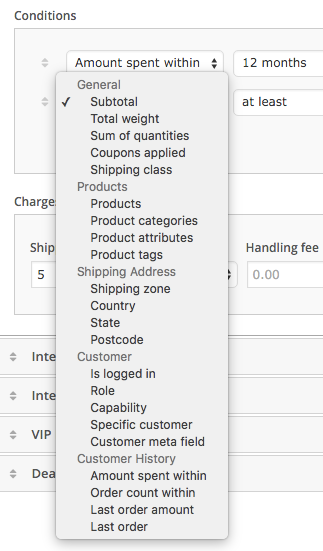 WooCommerce Conditional Shipping is a universal shipping extension for WooCommerce which allows to set up virtually any shipping scenario. 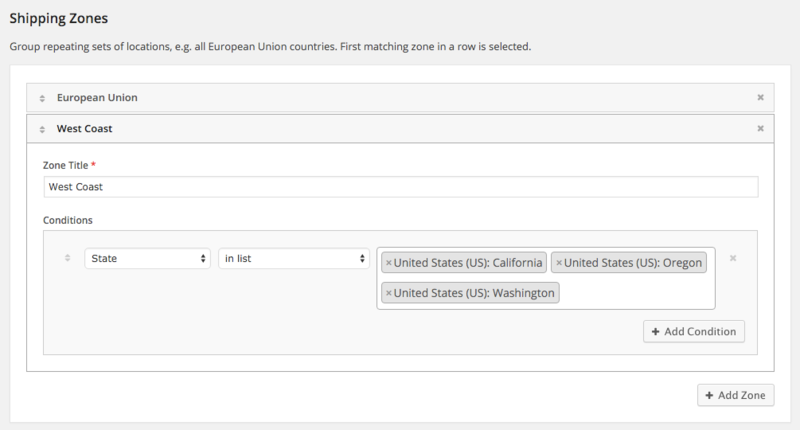 Create unlimited shipping zones and shipping methods, define costs per order, per weight unit or per item, set up multiple conditions that need to be matched for each method to become available. 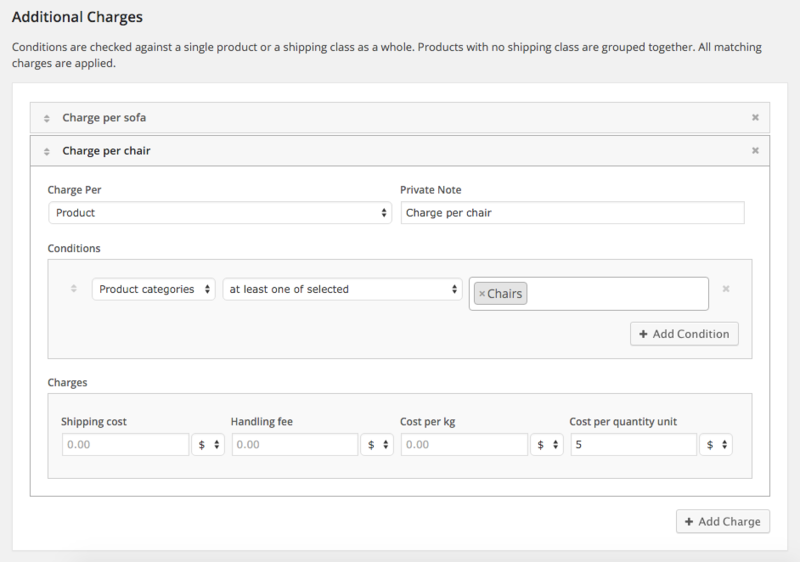 Additional charges let you charge additionally for non-standard items or set up shipping costs per shipping class. 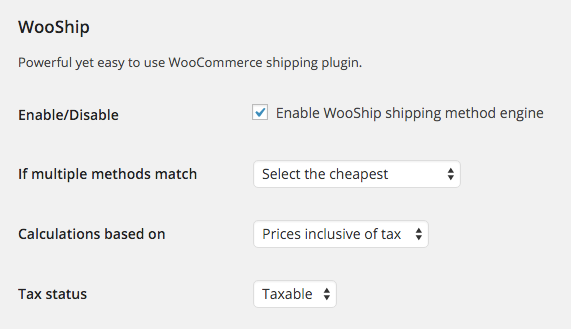 This WooCommerce Shipping plugin also boasts powerful marketing features, like rewarding your loyal customers with free (or reduced rate) shipping based on their previous shopping experience. 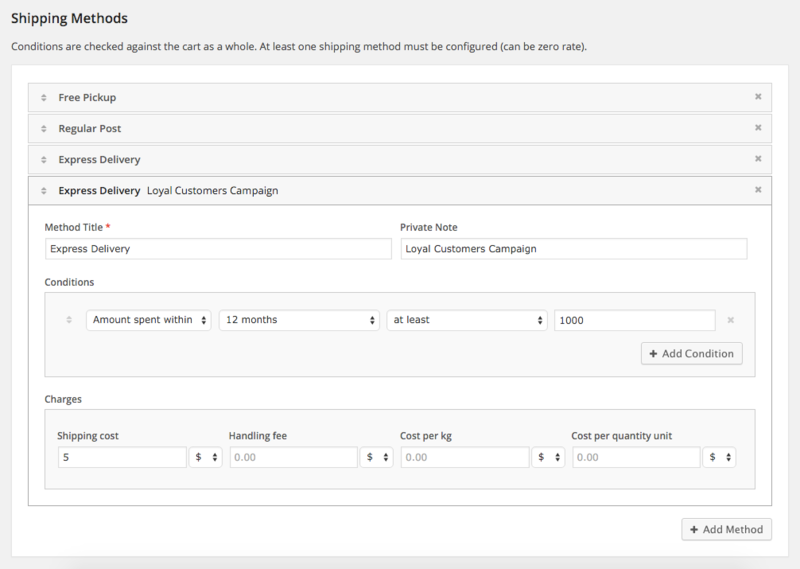 [+] Added new condition method "only selected"
[*] Fixed bug related to conditions method "All of selected"